Saibai is approximately 20km long by 6km wide. The island was formed from alluvial sediment, built up over time from neighbouring Papua New Guinea’s vast river systems, which are a mere 5kms to the north. At an average of one metre above sea level, the island is a mixture of mangrove fringe, flood plain and brackish swamps. It is also subject to flooding and rising sea levels. The wet season deposits approximately 2 metres of rain, yet in comparison, the dry season leaves the island short of water. 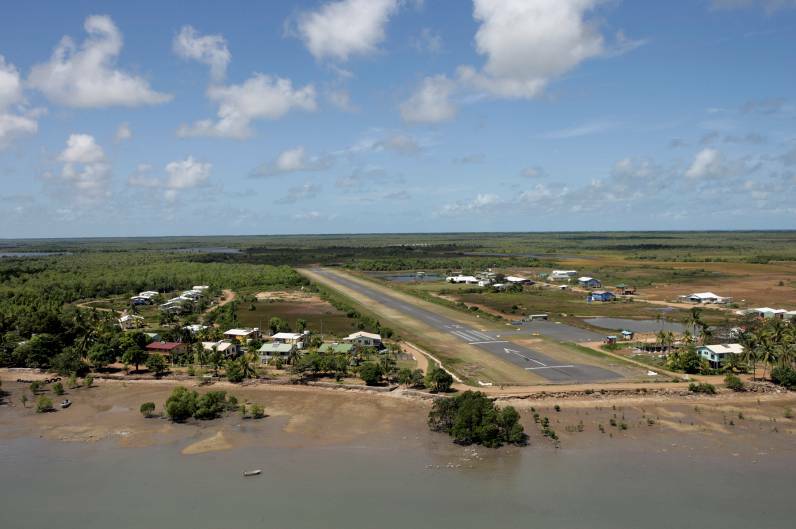 There are strong links with the Bamaga community on Cape York as many Saibai Islanders migrated there following floods in the 1950’s.